Our Florida Photography Section – Pictures from Florida – everything from the sunsets to unusual Florida souvenirs. A few photos from Epcot, March 2017. Mickey Mouse Topiary, side view. Quick pictures taken at night. Great salmon and a great view! The picture below is from one of the may shore excursions you can purchase for Cozumel. 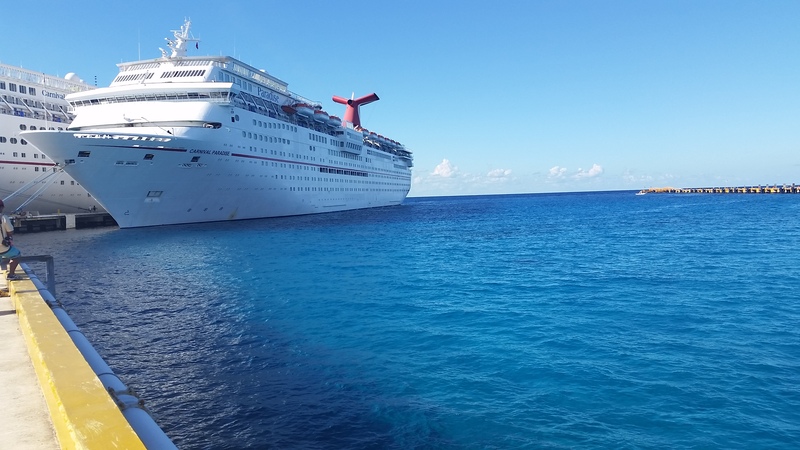 Below is the Carnival Cruise docked in Cozumel Mexico. Towards the evening, the ship will head out back to Tampa Florida. Note: When you leave – It isn’t an overnight trip, you’ll have a whole day at sea, before reaching Florida. 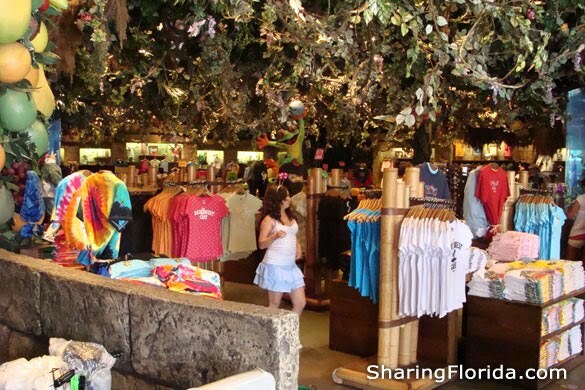 This shop is LOADED with all kinds of Rainforest Cafe souvenirs and rainforest themed items. You have to exit the restaurant by going through the gift shop. Green shirt with the Rainforest Cafe, Orlando logo on the front. Below are the instructions for the life preserver vest you may need during the ferry ride to The Magic Kingdom. The ride is pretty smooth, so it woyld be rare for you to need the vest. Photos of the ferry ride. Many people choose the tram as it is much faster. Ah, not too many Wrong Ways in Key West. Not sure where in Key West we took this photo… most likely on a rare one way street. We know, it is not very ‘Key West’ to have anything labeled as ‘wrong’. That just may be the appeal of the Keys – Everything is RIGHT, or at least in a more Free Spirited form. In just one visit you can tell why people keep coming back here. The ones that do not return, tend to be extremely conservative. The All You Need is Yummy is located close to the Starbucks on Duval Street. There are many locations selling ice cream, key lime pie, and coffee. Several shops also have gelato. Below are photos of the prices of ice cream and coffee. The green tea smoothie was awesome!! In addition to the MANY bars in Key West, you’ll see many t-shirt shops, with 100’s of designs. Below are just a few. The classic words with palm trees, the cartoon quote design, and the college letter design. The flag drawing can be seen on the back of the airport as you are boarding your taxi, into or out of Key West.